After years of evaluating Sculptra, “I’m a believer”. Patient had volume loss from weight loss and age. 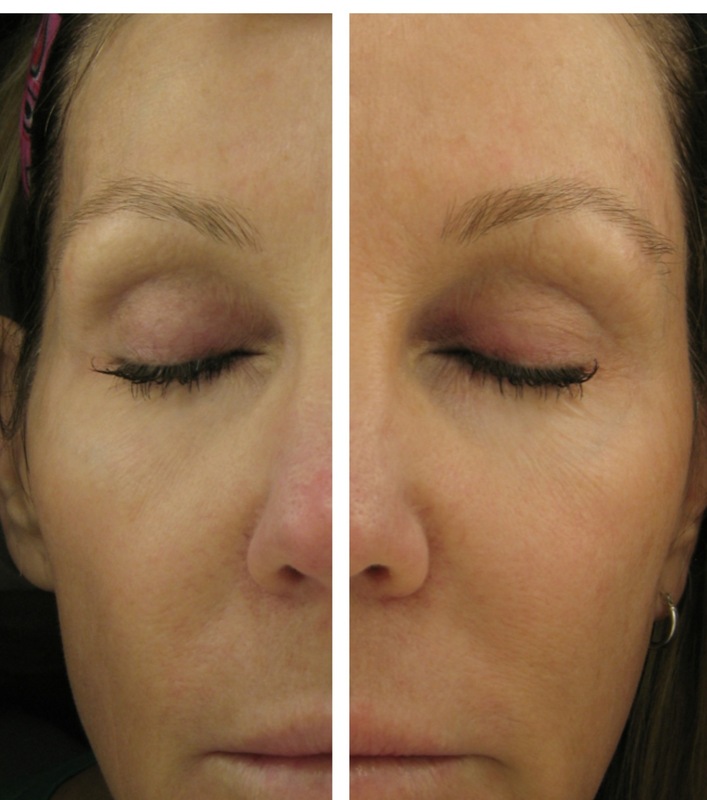 She was treated with 6 vials of Sculptra. Right side of picture is 1 year after treatment. Sculptra is a unique facial filler. It uses the body’s own collagen to create volume to the aging face. It is made up of Poly L Lactic acid, which is broken down to lactic acid, a natural occurring substance in the body. It comes as a powder to the physician, and is mixed with lidocaine and saline in the office days before the procedure. A series of 2-4 injection sessions is needed to get the full results, with at least a 6 week interval (because it takes 6 weeks to see the complete result of the prior treatment). After the treatment, your face will appear filled, but only for a day or two, and then the saline is absorbed. Gradually over the next 6 weeks, the Sculptra will stimulate the collagen, and create the volumization. Results are said to last 2-3 years. Touch ups are recommended at 12-18 month intervals. Following these guidelines, the formation of nodules is now <1%, and comparable to the risk of developing these with Restylane and Juvederm. So if you have age or exercise related facial atrophy, Sculptra is a great choice for a long lasting correction. Steve, I have created a review for Sculptra at http://www.dermalfillersreview.com/sculptra/. I would be more than happy if you could have a chance to come and visit my blog post about this filler and let me know if there need to be any modifications. I also welcome you to post articles about dermal fillers in my blog as it is recently getting some attention from search engines. Thank you for your time checking the blog. I just sent you an email. Steve, it was a long time ago we spoke (actually emailed) together. I would be so grateful if you could publish your contents on my blog. I love sculptra. Since I don’t like getting 2 treatments a year, this works out great because of its longevity. It has been about 3 years since my last treatment, but I’ve hesitated to do follow-up because of two reasons 1) in the last year it seems one area is mildly itchy and 2) I had one problem bump that kept erupting. It wasn’t a big problem because it just looked like a pimple – I would see it, squeeze it and eventually after about 3 eruptions, it healed. So my question is – is sculptra it worth trying again? Does this issue seem like an autoimmune issue or just one area that was fussy (maybe injected too shallow, etc). I really want to try it again. I think it’s injector problem, not sculptra problem.